Mothercare is now a household name to me, we visit their often to buy a variety of items for Jack. In August Mothercare joined partnership with children's charity 'Save the Children' and created the Born To Range. We were kindly given the opportunity for Jack to review the range, and for this we received two t-shirts. 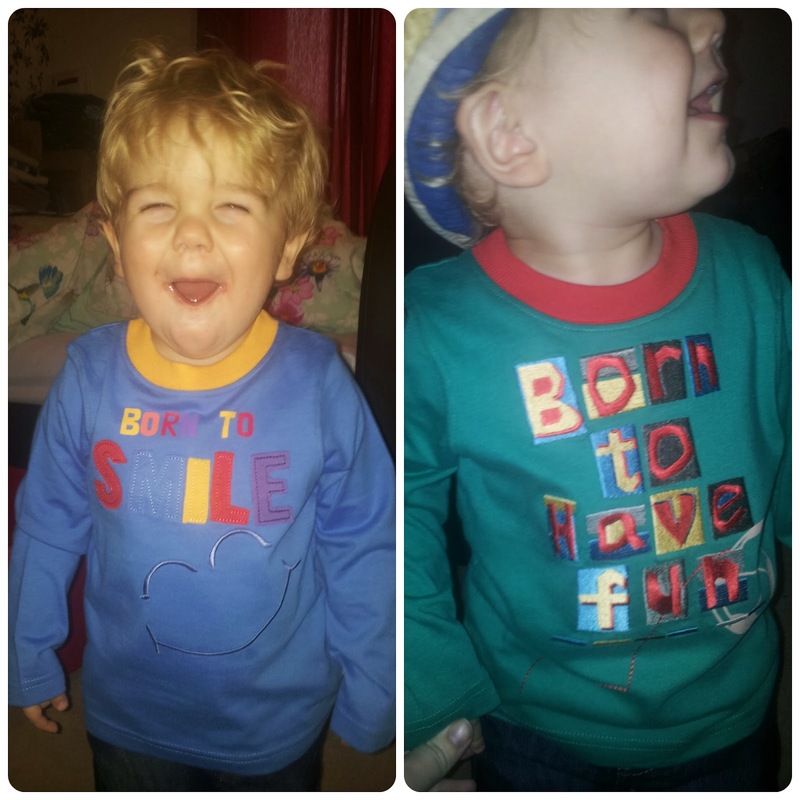 We were sent the Born to Smile and Born to Play t-shirts. Each t-shirts have an RRP of £5 and are 100% rich cotton. They are both brightly coloured with an embroidered saying on the front. Overall, I really liked these t-shirts from the Mothercare Born To range, I feel they are excellent quality, whilst supporting a fantastic cause. Available in store and online, the new collection features a range of bright and colourful designs, all with fab slogans. Please Note: I received these products free from Mothercare for the purpose of this review, all opinions and views are my own.